Kaylie woke up again with a really bad headache.... immediately went to the bath, when she finally got out, I took her temp, and she still had that low grade fever of 99.3. She was acting a little different too, so I called the doctor's office, we went in... and she has Strep Throat!!! As much as I ate to say it, I'm so glad it's something else... and at least we can get antibiotics started now, and hopefully she won't get sick in July! Oh this girl!!! If its not one thing, its another! I'm just glad I trusted my gut, because I felt something was not right! 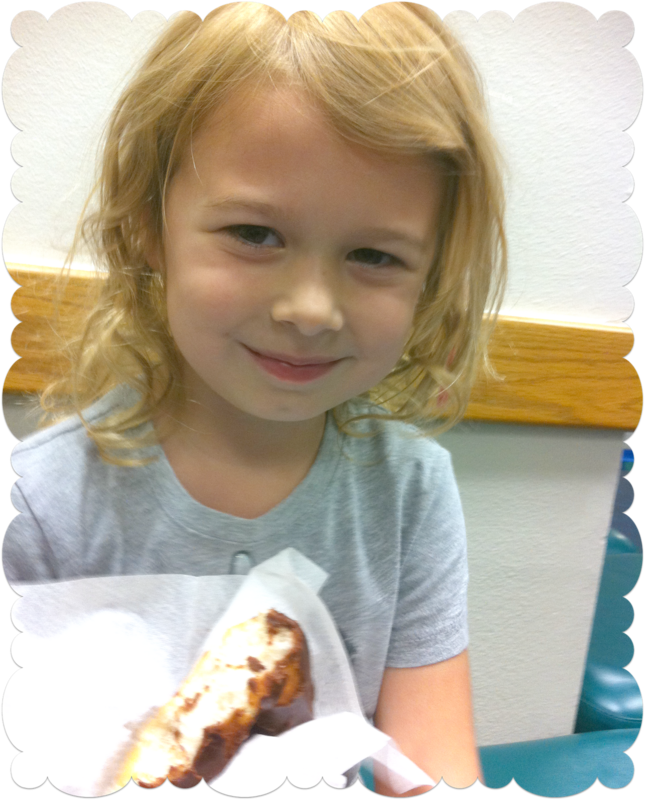 One of the Dr office ladies gave Kay a donut! They are so nice there!! I think this is one of my favorite photos of her.... I LOVE that smile! Now to go Lysol my house.... hopefully no one else gets sick!